The Egg is one of the triumphs of Jacobsen’s total design - a sculptural contrast to the building’s almost exclusively vertical and horizontal surfaces. The Egg sprang from a new technique, which Jacobsen was the first to use; a strong foam inner shell underneath the upholstery. Experience originality and design that ages with beauty with the Egg in leather and indulge in its sculptural curves that will last for generations. When Arne Jacobsen in the end of the 1950ies designed the SAS Royal Hotel in Copenhagen, he too created the Egg™, the Swan™, the Swan Sofa™, the Series 3300™ and the Drop™. 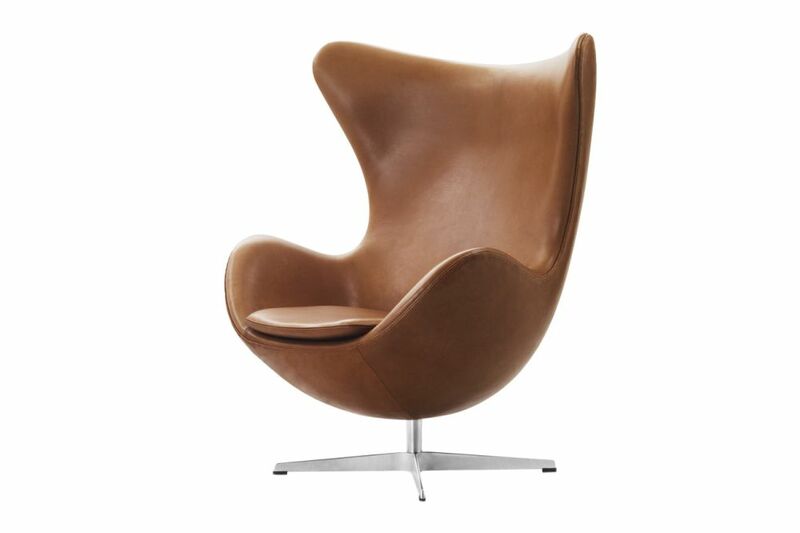 With this furniture Arne Jacobsen wrote history within Danish design worldwide.